What to look for in entertainment units for the home. Installing an entertainment unit inside the home is an inevitable task for many homeowners. There are many options of entertainment units available in the market however not all of them may suit your taste and the all theme. People can select the best alternative according to the individual preferences. One of the most popular entertainment units is the entertainment center that goes a long way in delivering good results to the users. They are composed of large furniture containing super flat LED television. In addition, the cabinet also comprises of shelves which are quite useful in stocking DVDs and blue ray discs in an impeccable manner. The price of the centers is quite different however it may go up depending on the quality of the materials used. Generally, entertainment centers are not suitable for small rooms as they are quite huge in size. 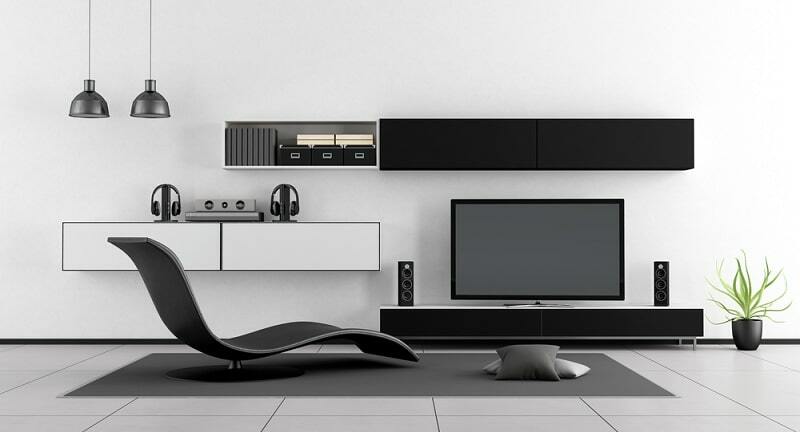 Wall mounted entertainment units are very popular among large section of society. They appear catchy and appealing to the eyes. A thin flat TV against the bright contrasting wall enhances the appeal of the sitting room. TV stands with cabinets belong to the latest fashion trends. Stands play an important role in supporting the TV without any hassles because they are sturdy. Irrespective of the size, the TV is mounted quite easily over the wall with enough distance from the observers’ eye view. The advantage of TV stands is that they can be installed in room of different sizes. Media chests are quite useful when you are living in an apartment because they are known to optimize horizontal space. The objects such as TV and accessories are stacked in the vertical direction. One of the most important units is the TV armoires as they can hide the TV in the cabinet when they are not used by the viewers. It is a perfect storage solution for keeping the multimedia equipment’s in a safe and secured manner. Beneath the TV the electrical fire place proves to be an icing on the cake. Make sure that the walls also support similar theme in terms of colors. When the fire is ignited, it transforms the appearance of the room. In fact, similar units can be installed right inside the game room or the family room of the home. In some cases, basement could be an ideal option for the people. If you are looking to place the flat screen television in a proper place, either mount it on the wall or purchase a TV stand of suitable size. Selection of location depends on the choice and preferences of the viewers. 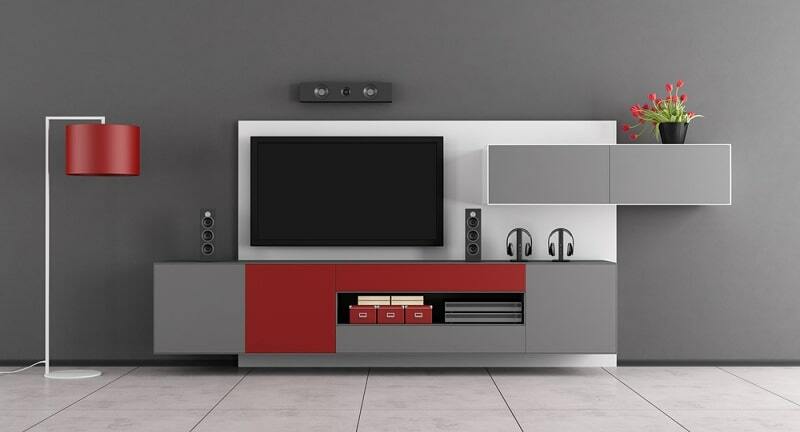 If you are buying an entertainment unit, make sure to select a suitable style. It will go a long way in delivering sterling results in the form of appearance and performance. Modern units are made of dark glasses providing stark contrast with the white walls. They comprise of crisp lines that are quite visible and add to the beauty of the room. If you are looking for traditional style, wooden units with crowns are quite attractive. They imbibe gothic look and feel reminding people of the past. Country houses sport entrainment units created from the finishing of distressed wood. In addition, cord management must be taken into consideration, therefore the unit should have a hole for connecting the wires. Before ordering for the unit, it is vital to measure the size of television and the objects that are to be stocked.